We’ve recently been enjoying the melting of much of the snow here, but we don’t have any flowers showing themselves in the gardens yet… so I decided that I would make some myself. 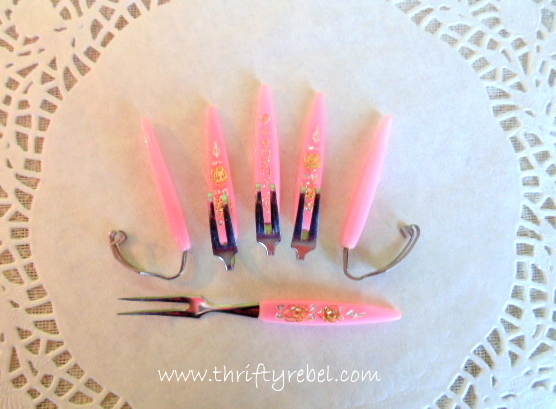 All you need to make these sweet little fork flowers are some cocktail forks… 3 washers, some Marine GOOP adhesive (I hear E6000 works also, but I’ve never used it), and a few decorative bits for embellishment. I just love that word… embellishment, because it means to make things prettier… and I’m always up for trying to make things prettier. 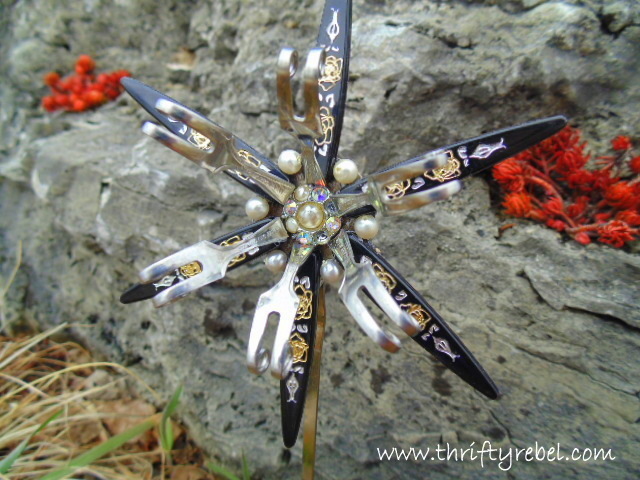 Last year I made garden flowers using silver and gold plated spoons, and you can see that post here. 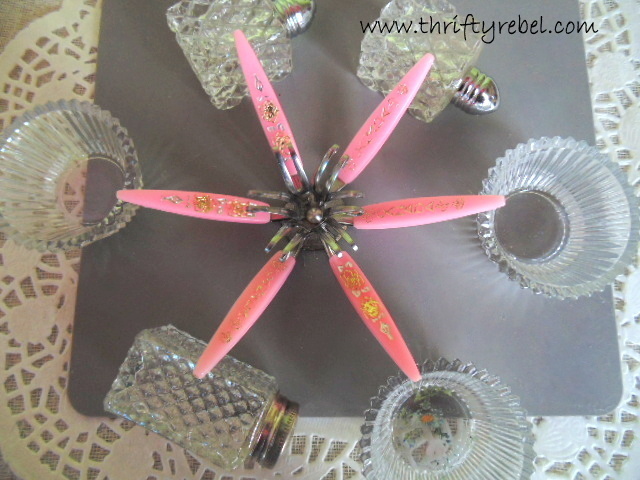 When I found three sets of six cocktail forks for $1 at the thrift store… I knew right away that they could also be made into flowers… somehow. I just had to figure out how. 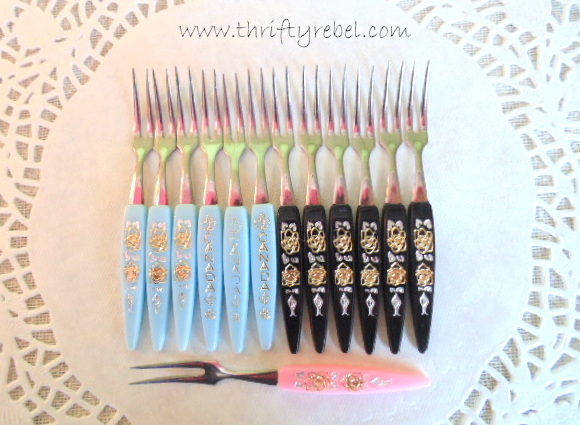 It took me a few days to decide what I was going to do, and then I was so excited to get started that I didn’t take a photo with all the forks together first… so above are the pink ones with 5 of them already bent. 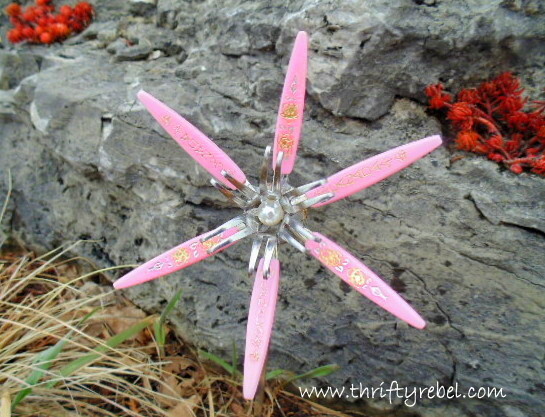 To make the pink flower I bent the metal stems with pliers. Then I curled the very pointy tines so that nobody (cats, wildlife, or humans) gets impaled when checking them out in the garden. I found a washer the right size and glued the forks to it. Because I wanted my petals to be a little inward I used whatever helpers I had around to hold them up while the glue was curing. 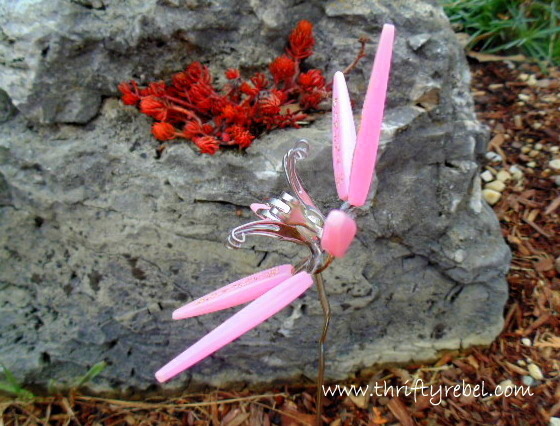 Each set of forks was bent a little differently so each flower is unique. After curling the tines I bent the black forks right where the metal meets the plastic stems. Here’s my black flower curing. You can see half of the pearls that I glued on as embellishments (there’s that lovely word again), and hiding the washer was an extra bonus. 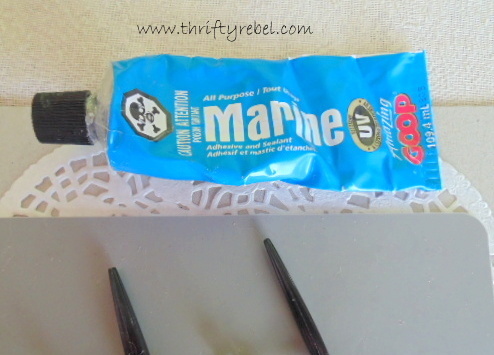 I used Marine GOOP adhesive for this project, as I do in all my garden art projects. It’s meant to be used on boats, and it’s UV and water resistant. I get mine at WalMart, but it can probably be found at big box home reno stores as well. 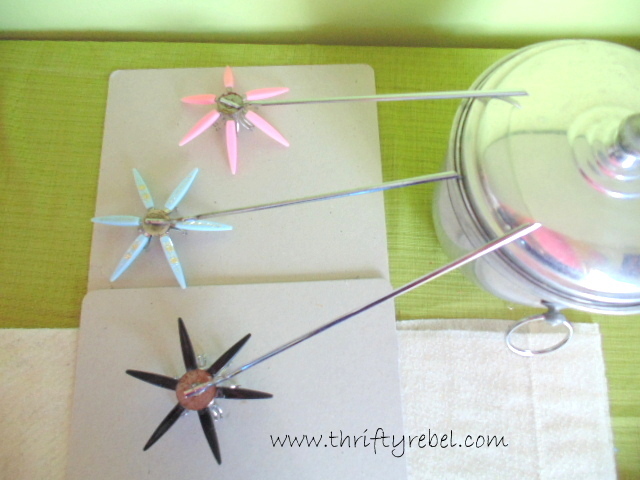 After my flowers were cured I glued metal skewers that I found at the dollar store (4 to a pack) to their backs. And I let them sit like this overnight. 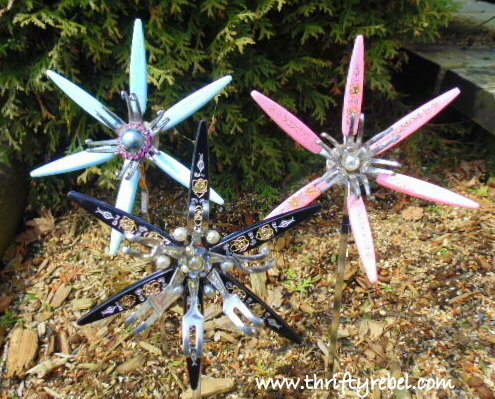 And here are my finished cocktail fork flowers… the only flowers in the garden right now. It’s hard to see the 3D effect on camera, so I’ve included some closeups below that hopefully shows that better. For the pink flower I simply embellished the centre with one large pearl. You can see that we have some red sedums showing themselves in the rocks. The rock garden is the first garden to come to life in the spring. 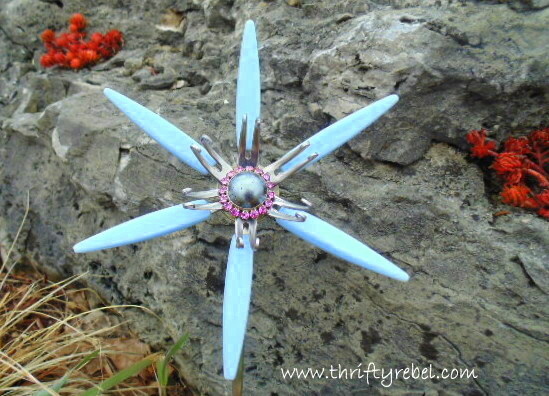 To make the blue flower I bent the forks the opposite way of the pink and black flowers so the pattern on the fork handles was at the back, and I curled the tines inward instead of outward. 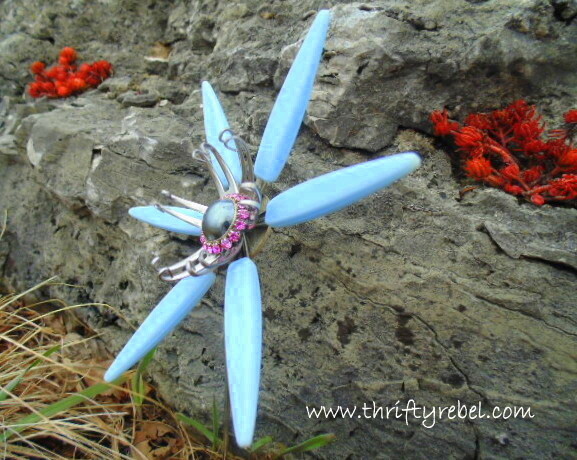 I embellished the blue flower with a vintage slate grey earring with pink rhinestone edging. 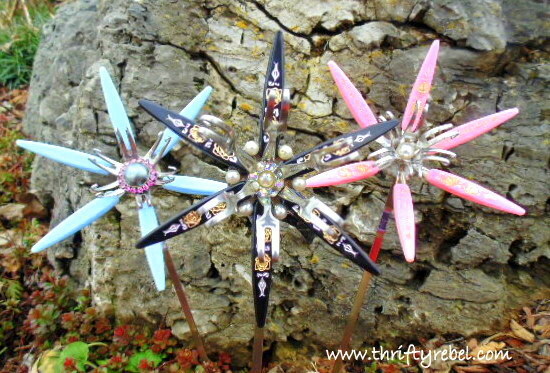 I just glued the forks onto a washer the same way as the other two flowers. 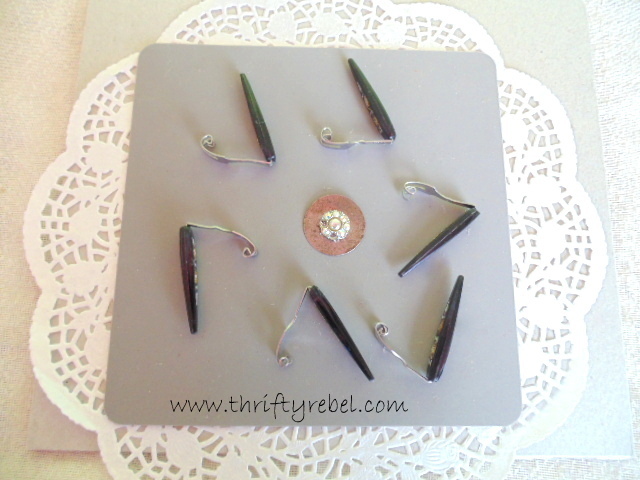 I embellished the black flower with a vintage pearl and rhinestone earring as the centre. And added the rest of the pearls to embellish it off. 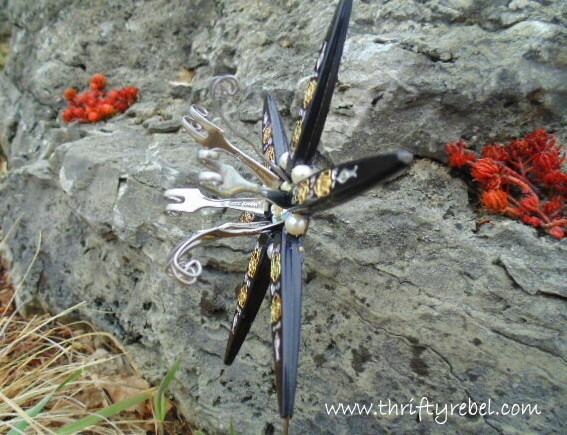 And here they are again, embellishments and all… this time in the rock garden. 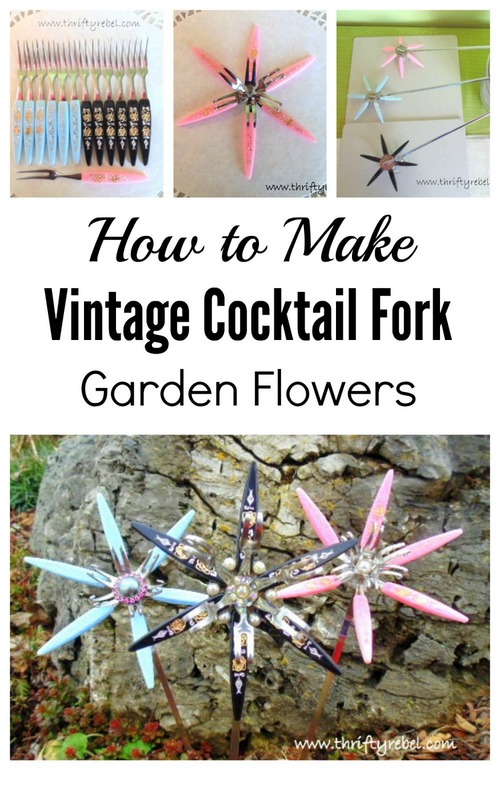 These fork flowers were sooo much fun to make, and pretty easy too. I love having little whimsical surprises popped here and there in the gardens and planters. All the embellishments are from my vintage jewelry stash of damaged and or imperfect pieces. I keep these around for projects just like this. 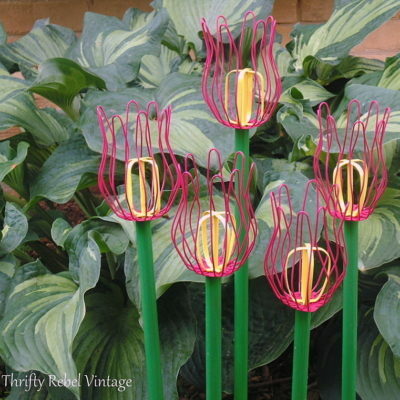 These cocktail fork flowers are the perfect size for a planter or a small garden… wherever you’d like to add a little touch of fun. Oh they're really cute Tuula great job! These are super adorable! And they look stunning in your rock garden! When your flowers do poke through they're add a whole lot of cuteness to your garden! 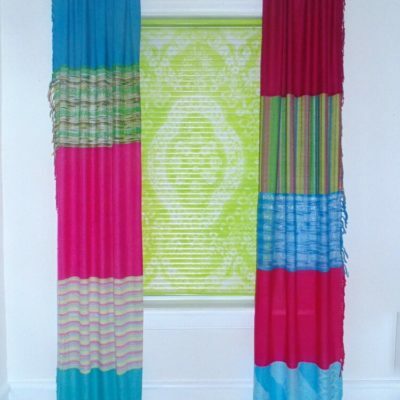 Score another great project, Tuula! These are gorgeous! What a wonderful idea Tuula! This is adorable! Such a good find with the pretty handles. Wow, that's what I call creative!! These are just adorable. I too love making this for the garden. I need to find some of these spoons so I can make these. Artful pieces for the garden – my favorite thing. Love the bright colors and you gave such wonderful directions. 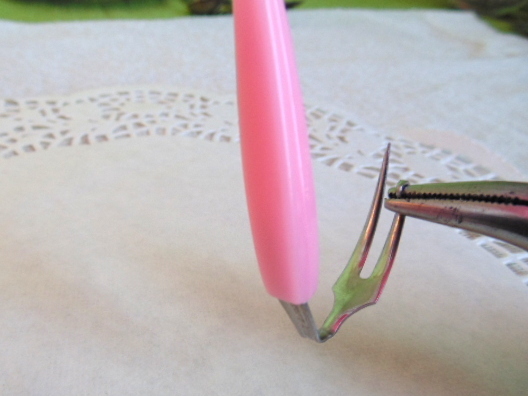 Are there any silverware pieces out there safe from your creativity? This is so cute! 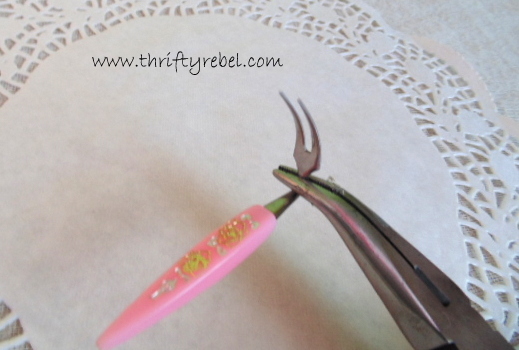 Love using upcycled silverware in creations, but never thought of incorporating these little cocktail forks, so adorable! These are really pretty Tuula. Your mind might be a scary place haha… how on earth do you think up this stuff? Seriously, I love them. Especially the black one with the pearls. I'll never look at little cocktail forks the same again. Wow, what an imagination, I love these! This is exactly why I don't throw things out, you just never know when inspiration will hit. These are adorable! What a cute way to use those little forks!! Thanks for sharing at TTF. Hi Tuula, wow how unique these look and congrats on the feature at one more time events party. 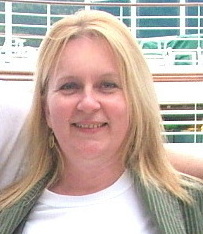 I hope all is well with you. Have a wonderful week. Hello Tuula … Really creative and so unique. Thanks for the directions on how to make them. Wow, those are just too much fun! 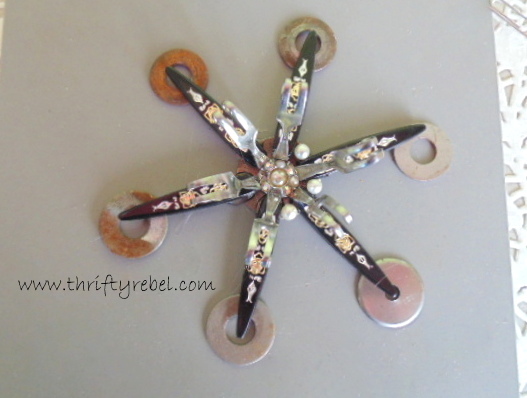 You have a knack for garden repurpose projects….. Thanks Mitzi! I love making these kinds of things… it's such fun. Who would ever think that cocktail forks (vintage!) would become beautiful flowers for the garden! I love your creative ideas. Using the jewelry for added bling … love that idea!